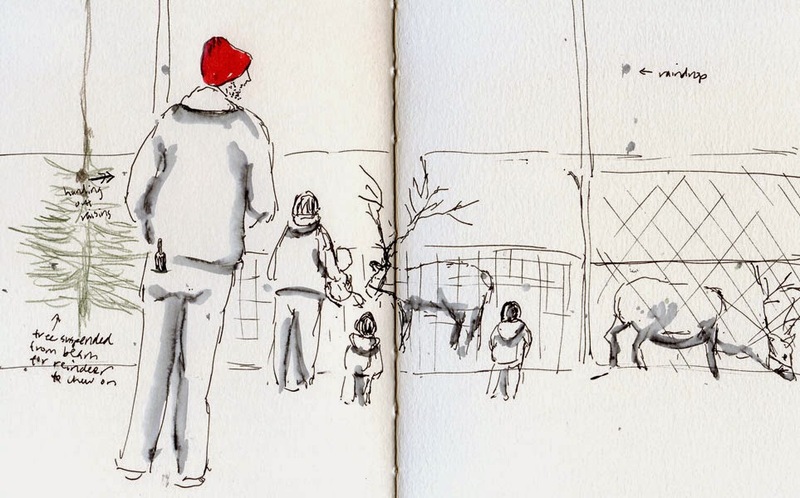 Swanson’s Nursery is fast becoming an ad hoc Friday sketchers’ holiday tradition. With two reindeer and a camel in residence, a spacious café with a koi pond and surrounded by a jungle of plants, and lots of holiday decorations everywhere, it’s hard to beat! 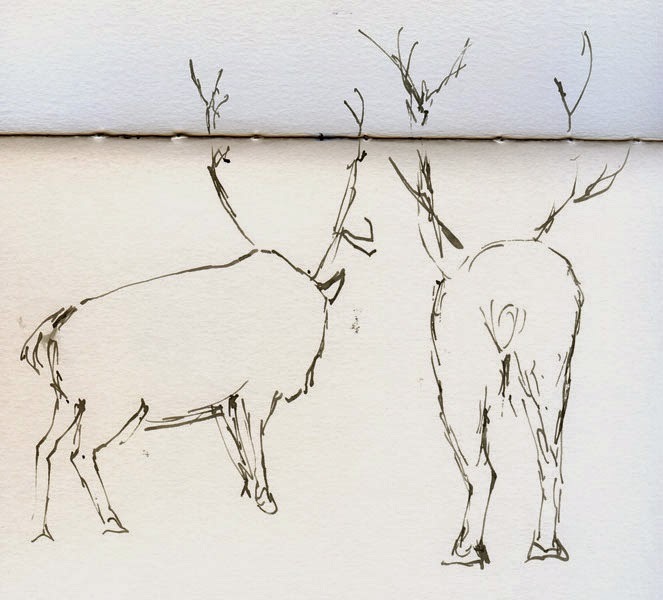 Last year and the year before, I focused on several close-up sketches of the animals. This morning shortly after I arrived, the reindeer and camel pens were mobbed with kids as their keeper (in the red cap) handed out raisins for them to feed to Dasher and Blitzen. Luckily, kids have a short attention span, because it didn’t take long for the crowd to disperse (and suddenly my crowd scene looked sparse!). 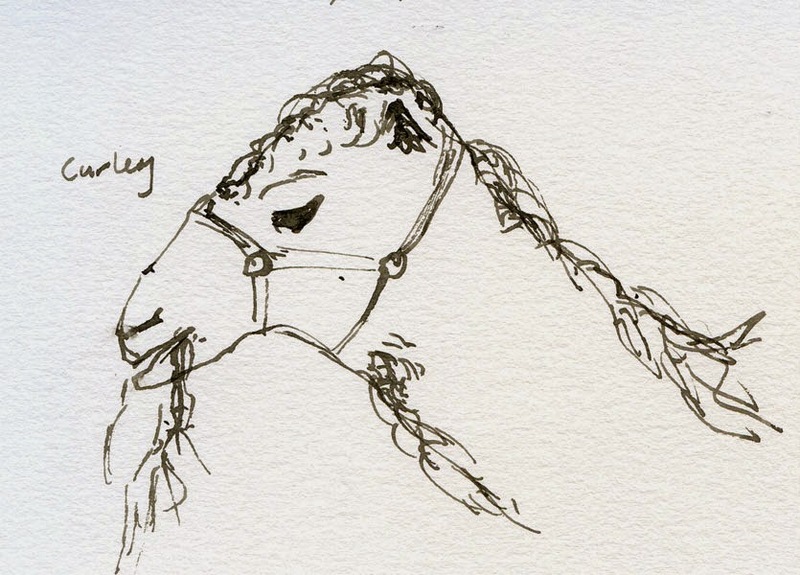 I moved in closer for a portrait of Curley, the camel, and a couple of gesture sketches of the reindeer. warm up. 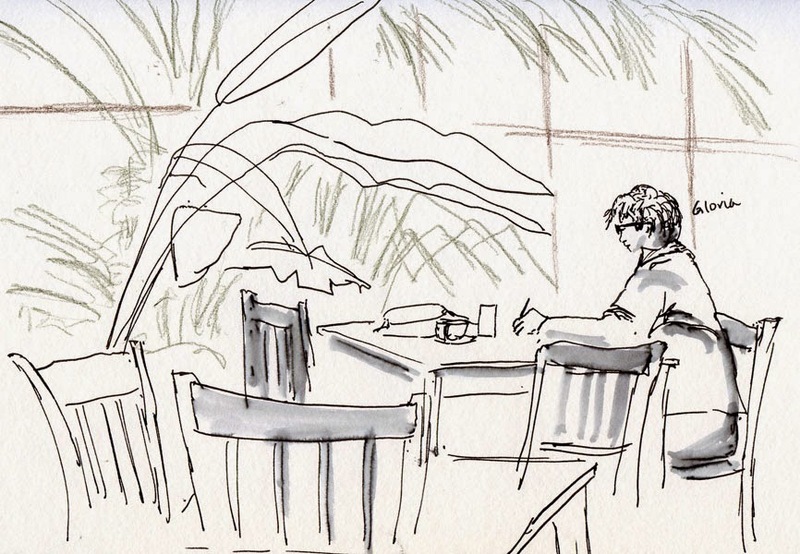 Fortified by coffee and a pumpkin scone, I did a few sketches of the café area, which is built like a greenhouse with windows covering the ceilings. All the large-leafed plants were giving me déjà vu of Paraty’s banana trees and palms. 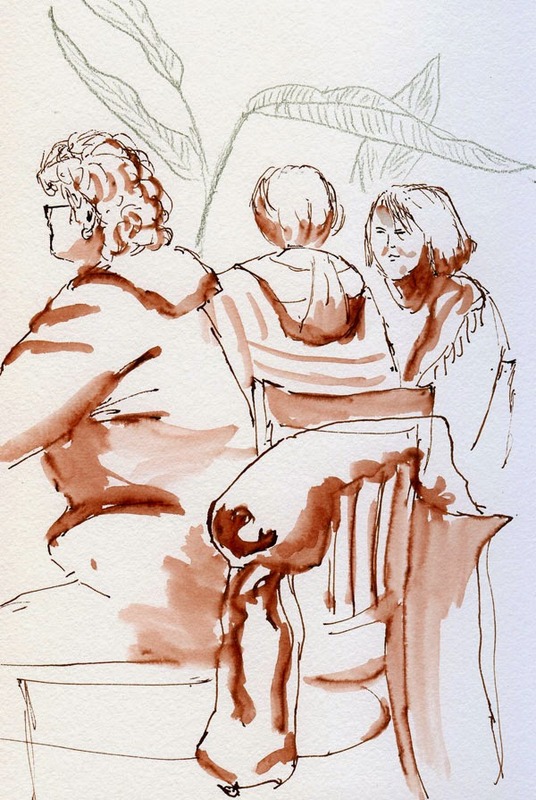 It’s such a treat to sketch indoors under all that natural light! 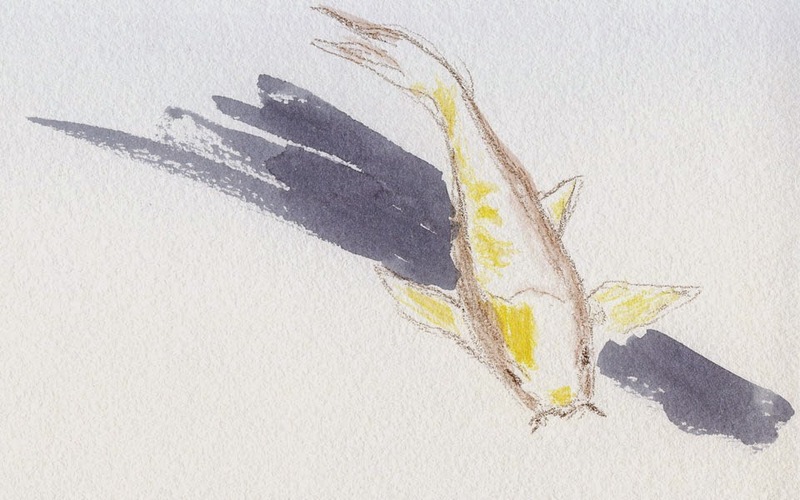 I killed the last five minutes before our sharing time to sketch one of the koi. A good holiday tradition, indeed!